Equipment built for the tough demands of waste and recycling applications needs to be strong enough to endure a beating that’s not seen in many other industries. 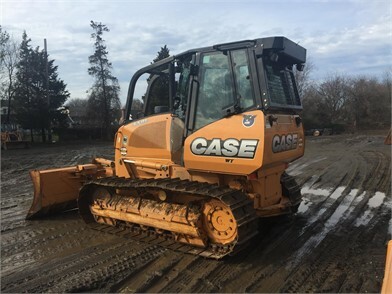 Landfills and scrap yards can pose special challenges for equipment – but new crawler excavators from CASE are specially designed to safely withstand the heavy wear and tear and the rather extreme environment challenges that they present. An all-new crawler excavator (which comes in a scrap loader version and a material handler version) is now part of the CASE Construction Equipment lineup: the CX290D. Each of these versions is designed specifically for use with shears, grapples, magnets, and other attachments that are typically used in the scrap and waste industries. Plus each offers a number of key features that fine-tune the machines for scrap loading applications and material handling. A 177 HP Tier 4 Final engine. A hydraulically controlled elevating cab. The scrap loader version features a goose-neck arm and a straight boom configuration for dedicated scrap loading applications. 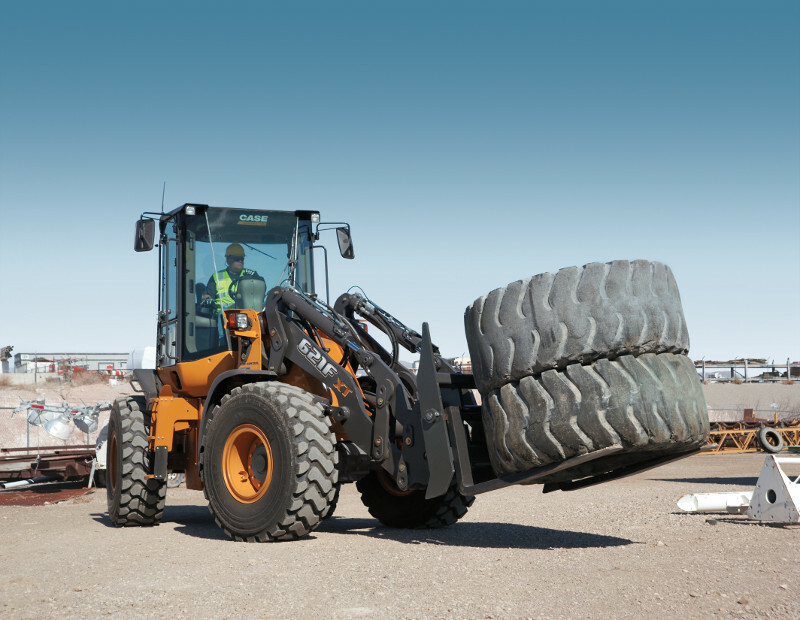 Longer arm and boom with optimized hydraulic circuits on the material handler for improved attachment performance and reduced shock in the cab. An electronic sensor-driven anti-interference device that automatically prevents the grapple or other attachments from coming into contact with the machine’s structure during operation. Additional guarding on the cab and undercarriage designed to protect the operator and machine during tough waste and scrap handling applications. An electronically controlled hydraulic pump and larger control and solenoid valves increase lifting capacities and improve responsiveness. The undercarriage of both versions is built with thicker steel and features additional guarding to protect undercarriage components when working in rough scrap and waste handling environments. 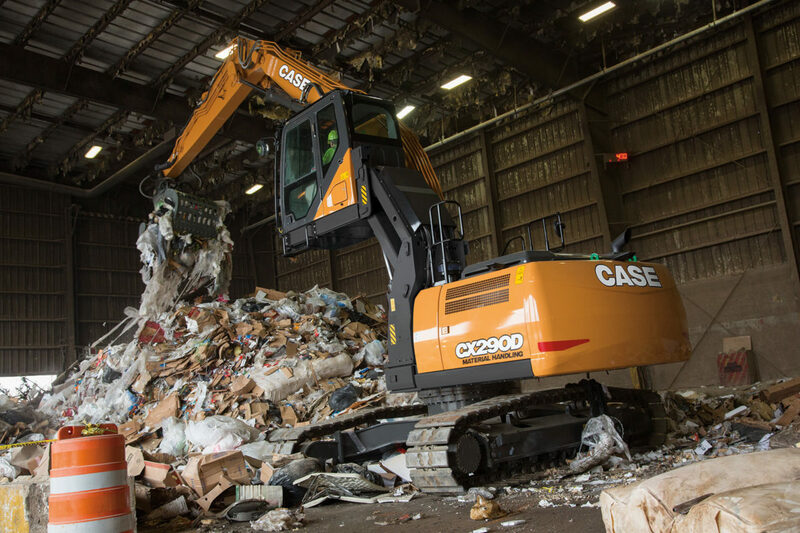 The longer arm and boom of the material handler version and the goose-neck arm and straight boom of the scrap loader version have been designed for optimal performance in material handling and scrap loading applications. 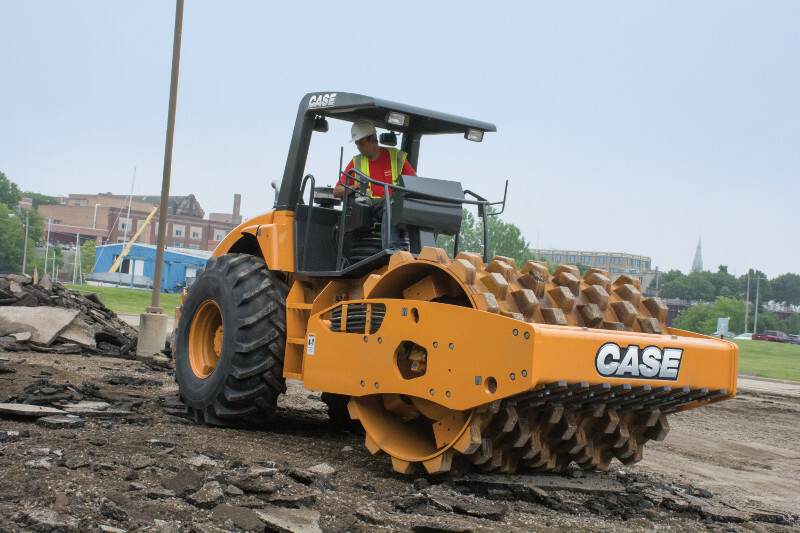 Each CASE D Series model is built to provide significant operational gains, including decreased cycle times, improved responsiveness and multifunctional controls, and greater fuel efficiency. D Series models offer more standard features than previous CASE excavators, simplifying the buying process and making them extremely versatile and operator friendly. We’ll be happy to answer any questions you may have regarding the CX290D and whether it’s the right fit for your business. How else can we be of help to your scrapyard, landfill or recycling business? Can we helping you decide on the right piece of new equipment that will be a key to helping your profits to grow? Can we connect you with an excellent piece of used equipment that keeps your budget in check while helping your team? Can we help with recommendations of service offerings? Are you interested in discussing rental options for that piece of equipment that you might just need a few times? We’re eager to help you with all of this and more. We’d love to talk business! Details on all of our locations and contact info are at this link.